This Limited Edition print comes from Upper Deck – and very few were signed. 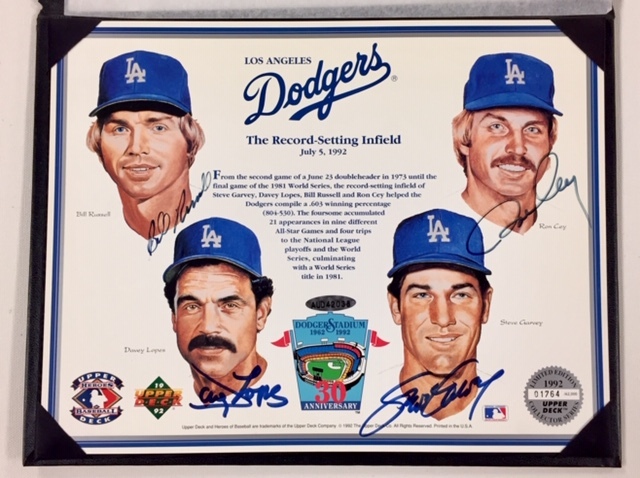 It is signed in blue by Bill Russell, Ron Cey, Davey Lopes, and Steve Garvey. 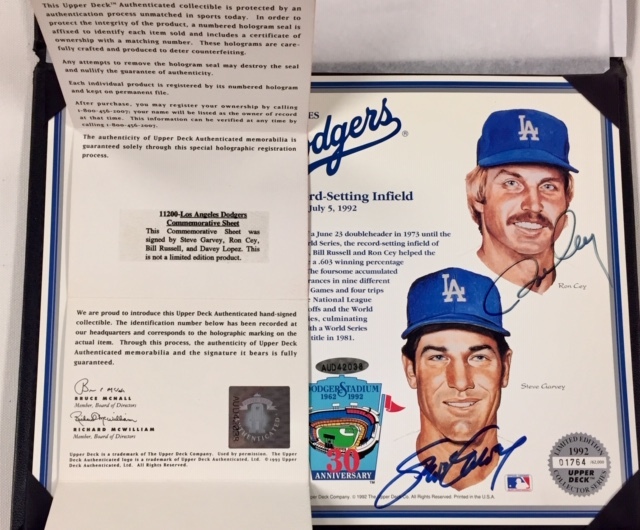 It comes with Upper Deck Authentication’s UDA hologram sticker & matching Certificate of Authenticity (and also comes in its original display. Shipping is $8 no matter how many items you purchase from the Holiday Sale.